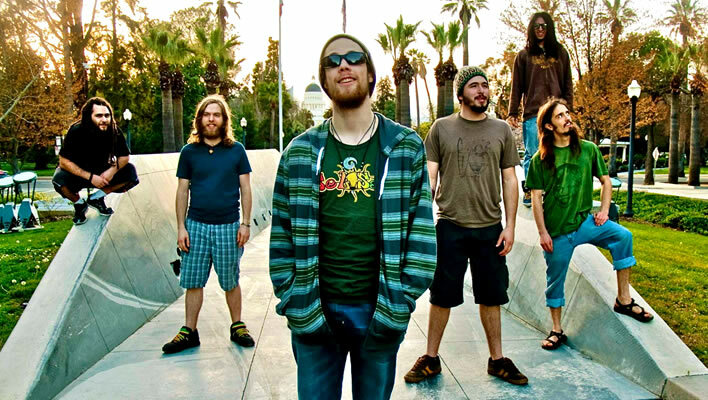 Since transplanting to Eugene from Southern Oregon just over two years ago, Oregon’s own Reggae Fusion all-stars, Sol Seed, have swiftly gained powerful momentum in the North West music scene, creating a diverse and loyal fan base all over California and the North West. They were awarded Eugene WOW Hall Awards “Best New Act” 2011 and “Favorite Local Band” 2012, in addition to “Eugene’s Best Band 2012-2013” by Eugene Weekly readers. Dominating the NW summer festival circuit including Oregon Country Fair, North West World Reggae Festival and Jefferson State Hemp Expo, Sol Seed has also shared the stage with national acts such as Ziggy Marley, Slightly Stoopid, The Expendables, Pacific Dub, Nappy Roots, Heavyweight Dub Champion and many more, all in just 2 years of playing together. After a number of small EP releases, the group released their first full-length album “Grown Deep” in September 2012, which immediately gained air-time on a number of radio stations all over the West Coast as well as the Hawaiian islands. Their third and most comprehensive studio album is currently in the making, with a release date TBA. The group capitalizes on impressive live performances and a genuine connection to the most important thing as a musician: Their fans. Fostering a healthy and active relationship with the fans in their community and abroad is capitol in their message and vibe. Recently leaving their day jobs and fully committing to the lifestyle of a working musician has been an exciting a life-altering step for all members. Sol Seed is not just a band, it is a way of life. It is a brotherhood. A mission. This makes it easy for everyone to be on the same page and really succeed on an internal level. Sol Seed brings a distinct sound combining the best elements of Reggae, Rock, Hip Hop and Psychedelic Jam to form a positive musical fusion that is uniquely their own. With conscious, thought-provoking lyrics, infectious reggae-laden grooves and high-energy, impressive live performances, Sol Seed creates an unforgettable live-music experience for people of all ages to enjoy. 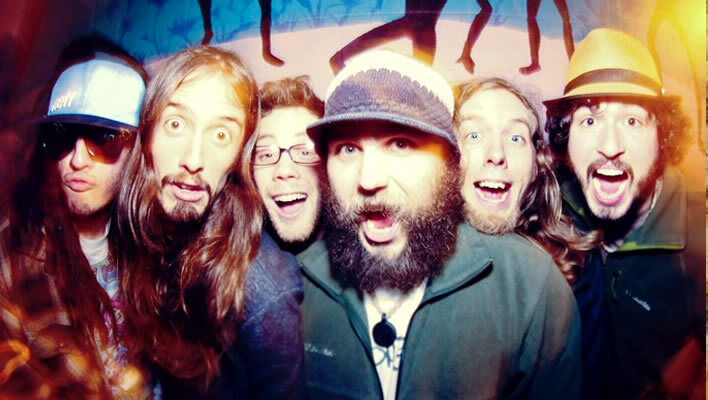 This Oregon based band got their start in early 2010 when songwriters Michael Lennon and Michael Sorensen joined hands with fellow friend and musician Benny Pezzano through a Southern Oregon open mic. An undeniable synergy was all but tangible as their creative forces coalesced, and they immediately began to grow a diverse collection of original music. They soon joined with Native American Award winning guitarist, Kenny Sequoia Lewis, and in October 2010, transplanted to Eugene to pursue life and music, where soon after they linked up with MC, Didgeridoo player and percussionist Sky Guasco, and finally Saxophone player Graeme Pletscher in late 2011. With 6 members, each member boasting very different influences and skill sets, Sol Seeds depth and volume of sound increased exponentially. With an infectious enthusiasm for life and an unequivocal knack to communicate its beauty, the group shares their message of perspectivism and unconditional love through uplifting music rooted in the soul. Sol Seed has certainly dug their roots.